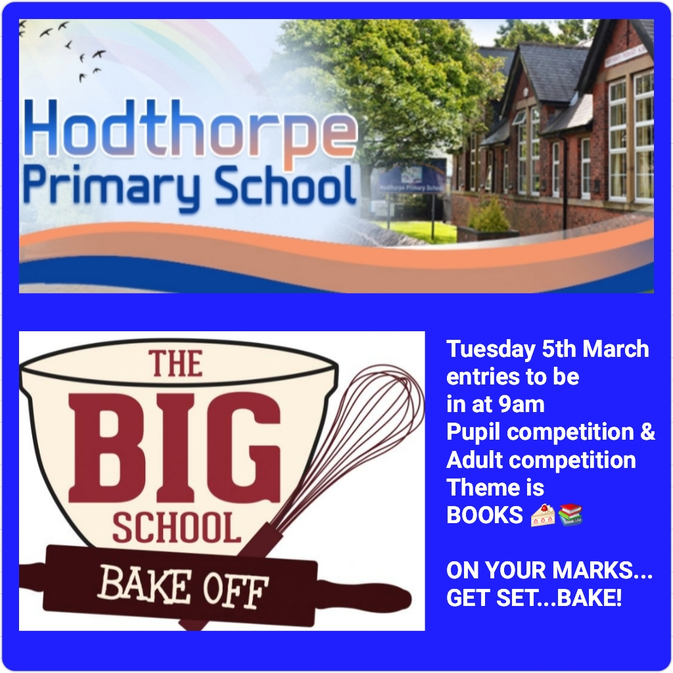 Hodthorpe's BIG Bake Off - Ready, Steady Bake! Our first Hodthorpe Bake-off was amazing! Thankyou to everyone who took part! Take a look in the gallery page at all the fabulous cakes which our children and parents created!